We all have brands we feel connected to. 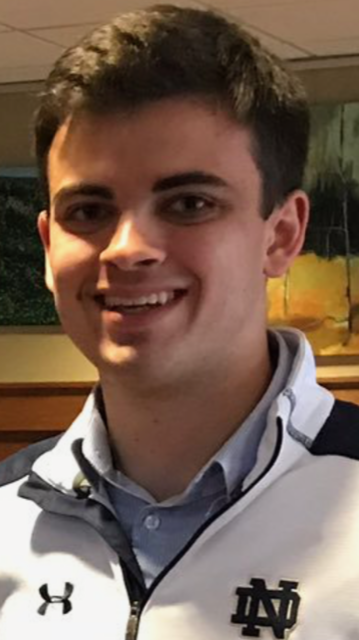 But how do our favorite brands foster this connection? Is it merely through their products, or are these products part of a larger effort to build brand loyalty and community? 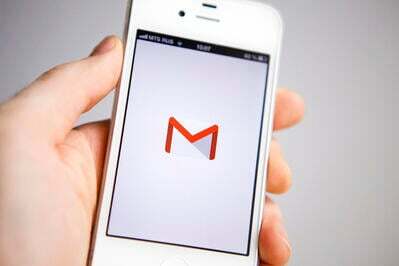 Enter the email newsletter, a tool used to drive relationships between brand and consumer. An email newsletter is a powerful marketing and communication tool used to inform users about your brand, products, and recent company activity. It builds a unique relationship with users and consistently supplies them with company information that is interesting, relevant, and up to date. This article takes you through the basics of what a company email newsletter sets out to accomplish and highlights the four key components you need as you learn how to create an email newsletter. These four fundamental elements of an effective email newsletter combine brand promotion with keeping your recipients up to date and fostering relationships between your brand and your newsletter readers. An email newsletter populates in your subscribers’ inboxes on a recurring basis that you (or the subscriber) can control. From daily to weekly to monthly newsletters, your email newsletter is a way to claim space in your recipients’ inboxes and build evangelists for your brand. Each email reminds subscribers about your brand and is an opportunity to remain front-of-mind, even before the recipient opens the email. With digital media commanding a large portion of modern business communication, email newsletters are a natural evolution from snail-mail newsletters and outbound phone calls. Newsletters allow for strong user engagement and put the brand in control of its message and delivery. Establishing a constant presence in your subscribers’ inbox can be achieved with the help of some of the best email marketing services. Once you can claim space in the content that your subscribers are consuming, you can move forward with maximizing the components of your email and delighting the recipient. It’s important to keep a healthy balance in your newsletter and keep the focus on the reader. Mix in stories on current events related to your industry or articles that aren’t trying to push a particular product or service. Content is king these days and your newsletter readers likely agree. Newsletters provide a service of building brand loyalty. Informing subscribers about what your company has been up to increases awareness of your brand and strengthens your company’s identity in the minds of your subscribers. Consistent product and feature updates coupled with new and noteworthy updates also keeps them looking out for new ways to engage with your company. These customizable aspects of newsletters are key in maintaining and fostering relationships between your brand and your subscribers. Features like special birthday messages or personalized news feeds can also strengthen the emotional ties a consumer has to your brand. Feeling like they are recognized for their humanity and not just the money they have to spend can go a long way with your newsletter subscribers. 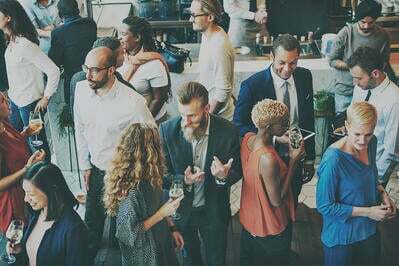 Leveraging personalization while serving the right content at the right time to the right audience is a great way to build lasting relationships with your subscriber base. Seeing some great newsletter examples and want to get started on your own? Here, we dive into three successful email newsletter templates and highlight the important elements of each to show why they are effective. This template of a monthly newsletter focuses on brand updates and events in the upcoming month for this coffee shop. The “featured beverage of the month” and event listing side panels are great ways to drive subscribers to look forward to a newsletter every month and to keep them informed as to how they can take advantage of unique offerings. 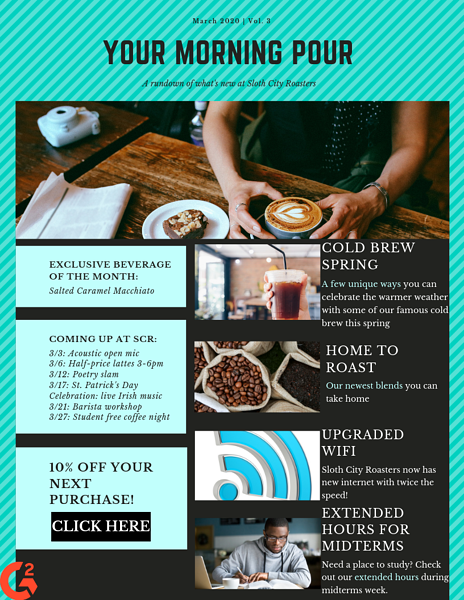 If your brand is similar to this coffee shop and able to have certain seasonal offerings, this template is perfect because it includes a calendar to show what’s coming up as well as a panel where you can feature a different item with each newsletter. This newsletter also has a strong call-to-action in the bottom left hand corner of the email. 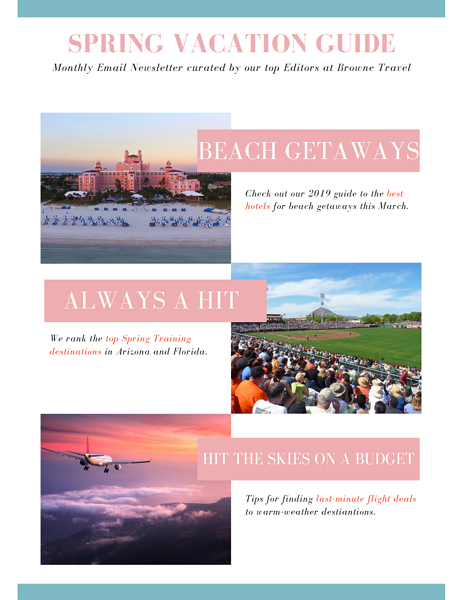 With all of the monthly specials being offered, the newsletter providing a coupon as a call-to-action is a great way to drive subscribers to capitalize on the current event updates that they are receiving. 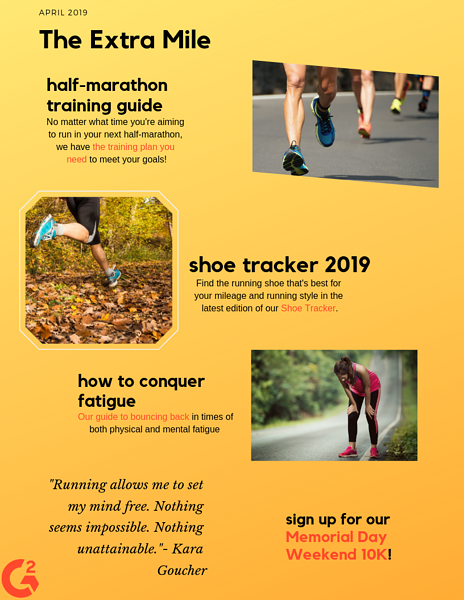 A key aspect of this newsletter is that as a running company, it can seamlessly blend providing helpful content to a reader interested in improving their runs with subtle nods to products. The second article featured in this newsletter is a shoe guide, which can both help the reader find the correct running shoe as well as subtly remind the reader that they need to purchase new running shoes. The three articles that are promoted in this newsletter are all presented with the aim to help the reader improve their running ability, and at the bottom of the email is a call to action to participate in a 10K. This template stands out not only due to its eye-catching color scheme, but also the quote that is included on the bottom. While this newsletter does have four separate links (including the call-to-action) to its website, it also includes this quote that does not link to anything on the company’s website to enhance the brand and ethos of the newsletter as an authority in the running space. The third template uses a more streamlined design to cascade down to a clear call-to-action. For this tech newsletter, the reader’s attention is drawn to current events and provocative headlines related to changing trends in the tech industry. It is also formatted in a fairly straight-forward way, aligning with the order and rigidness of the tech industry and the tastes of its readers. This newsletter presents the most straightforward lead into a call-to-action. 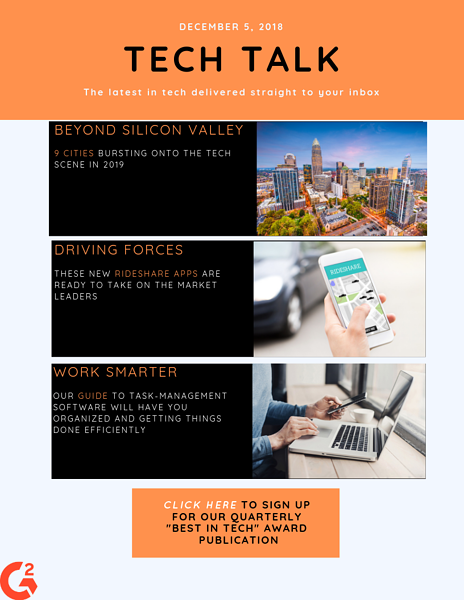 After promoting three different articles on the current state of tech, the newsletter provides a clear call-to-action in a bright orange box at the bottom of the email for readers that find themselves interested in more tech information. These three templates all demonstrate the four key aspects of a successful email newsletter. The newsletters remind subscribers about their brands through being sent on a recurring basis, inform subscribers with articles and guides related to their industries, tell subscribers what the brands have been up to lately through updates of special seasonal or monthly offerings, and build unique relationships through strong calls to action. To maximize efficiency and results in your newsletters, try email template building software. This software helps you execute these four elements with ease, providing you with pre-made templates or the ability to build your own.